Editor's note: This article, written by Design Data's James Schwartz, originally appeared in the Fall 2016 issue of SEAA Connector. Digital 3D models are becoming a primary method of communication between disciplines within the construction industry. While fabricators have been using them to produce shop drawings and CNC data since the 80s, new disciplines — such as the BIM coordinator — have emerged in the industry. The advancement of GPS and advent of drones brings us to the next logical step: the use of models for procurement, planning and construction on the site. The need for detailers with SDS/2 experience and knowledge continues to grow, and Northcentral Technical College (NTC) and Design Data have partnered to provide the training necessary to excel in this high-demand profession. As part of this program, Design Data is offering scholarship opportunities of up to $1,000 to our customers who complete a class through NTC's Structural Steel Detailing program and purchase a new license of SDS/2. To learn more about the scholarship program, contact Amanda Kunze. Several SDS/2 customers have already participated in the program; you can learn more about how the NTC program has benefited their companies here. Registration is now open for the 2017 NASCC: The Steel Conference, taking place in San Antonio, Texas, March 22-24. Among the session highlights for this year: 3D Model Review and Approval Really Works, which will be presented Wednesday, from 9:45 a.m. to 11:15 a.m.; Quality Procedures in Detailing Offices, from 3:00 p.m. to 4:00 p.m. Thursday; and The Little Site That Could: 150 N Riverside, from 9:45 a.m. to 11:15 a.m. Wednesday. 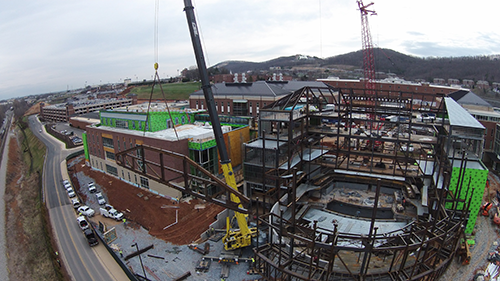 NASCC is the perfect place for steel fabricators, detailer, erectors and structural engineers to interact with their peers and learn more about structural steel design and construction. This year’s conference includes more than 100 technical sessions and an extensive trade show with more than 200 exhibitors. 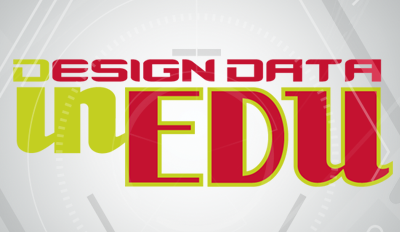 Design Data will be exhibiting in booths #7017 and #7025. To register for NASCC or to view the advance program, complete with a detailed list of the conference sessions, click here. The Hadley Falls Station Downstream Fish Passage project in Holyoke, Massachusetts, was split into four major parts. The most challenging aspect of the project was the twisted and rolled conduit plates; the project's fabricator was able to use CNC files — created by detailer Steltec Inc. of Sainte-Théresé, Quebec, Canada — to create the plates. Another major component was the new bulkhead and pier extension, which consisted of three major frames bolted together with rolled skins. The flume extension also posed a challenge, due to the geometry and complete location on site.